Florida law is clear: building architects, landscape architects, and commercial interior designers among other professionals must not advertise or practice their professions without first registering with the State of Florida and obtaining either a permanent or a temporary license. The main reason for that law is also clear: to protect the public safety and welfare from malpractice. Another reason is to protect Florida professionals from competitors who may be just as well qualified by experience and education. South Florida officials, nonetheless, could care less about the licensing regulations, at least not until building permits are applied for, particularly if the unlicensed professionals happen to be internationalist practitioners, so-called starchitects from out of state retained by big developers that are often from out of state, seeking to colonize the region for vested interests with surplus capital on their hands because only so much can be wasted on pleasure before businesses stagnate. Especially popular in South Florida, Ground Zero for the last great economic crisis, are cheap glass boxes in air castles erected and sold at exorbitant prices for a fast buck. Florida’s Department of Business and Professional Regulation (DBPR) is obviously responsible by virtue of its moniker for regulating professional conduct. Its staff, however, would rather not open an investigation unless a formal complaint is filed. That is, enforcement is complaint driven. That way, administrators can claim they are indeed accountable to the public by counting the number of complaints. Respondents are naturally eager to know who filed the complaint because ordinary members of the public would not know a violation if they saw one, so the complainant would probably be a competitor who could be retaliated against in one way or another, wherefore complaints may be filed anonymously. In rare cases, especially where the press is involved in exposing misconduct, the DBPR might look into information that comes to its attention indicative, for example, of unlicensed activity, especially when the activity is made obvious by the press. Yet given the proverbial shortage of resources to address the vast amount of unlicensed activity, the department is not eager to dig into independent journalists’ reports, for instance, to see if opening a formal investigation is warranted by the information in the report, only to discover it has been on a wild goose chase, especially if confronted by the caviling lawyers of an large design firm retained by politically influential interests eager to grow their capital lest it stagnate.. It DBPR officials were to examine daily reports on the real estate boom in South Florida, in Miami Beach, for example, they would see that some of the biggest designers in the world, identified as architects, landscape architects, and interior designers, are lobbying officials for developers with designs in hand, and even signing contracts with agencies, yet many of them have no Florida license. The local officials could care less, and the republican public, which is not too sympathetic to government regulation in the first place, is awed by the very presence of these master builders in their city. As for the local competition, it keeps silent for a piece of the action. Of course if someone complains and the DBPR sees a winning case, it may go after a big league violator. The state may, after a lengthy battle, get a feather in its cap if not collect a fine. The penalties appear to be pursued on a case-by-case basis by casuistic prosecutors who believe they have rational principles in mind, so punishment is rather inconsistent. Someone might simply avoid punishment by applying for a license. Knowing that prosecutions are scarce and penalties minimal, unlicensed architects and interior designers with substantial means have little to worry about if they get reported. Regulators excuse themselves for their negligence and leniency. Resources are limited, they say, and their objective is to obtain compliance, not to impose punishment. Well, then, perhaps judges should waive all penalties for driving without a license providing that a license is applied for, and impose different fines for the same traffic violations in order to encourage compliance at random. To obtain compliance instead of imposing punishment, police officers should allow traffic law violators to go around the block and obey the laws they previously violated. The City of Miami Beach is rife with foreign i.e. out-of-state building and landscaping architects and commercial interior designers who proceeded with their professional without obtaining a permanent or temporary license. Highly respected international interior design firm Yabu Pushelberg with studios in Toronto and New York advertises itself as such in Florida and has helped design numerous projects for the likes of Jorge Perez’ Related Companies without the required license. The Florida Board of Architecture and Interior Design announced on 28 July 2015 that it had settled for a fine of $5,000 plus costs against the firm and its designers for contracting to provide commercial interior design services, advertising its services on its website, and offering those services through an uncertified business entity. Internationally acclaimed architect Enrique Norten, with studios in New York and Mexico, had no Florida license when he lobbied Miami Beach officials for approval of a condominium project designed by and named after him, 321 Ocean Enrique Norten in South Beach. Investigators for the Board of Architecture and Interior Design have been looking into the matter for some time. Renzo Piano, one of the most famous architects in the world, has designed a tower for erection at 8701 Collins Avenue on Miami Beach without a Florida license. The project is hailed as the advent of the architect into the Florida market. Likewise an investigator for the Florida Board of Architecture and Interior Design is looking into the matter to see if probable cause may be found to prosecute the firm. 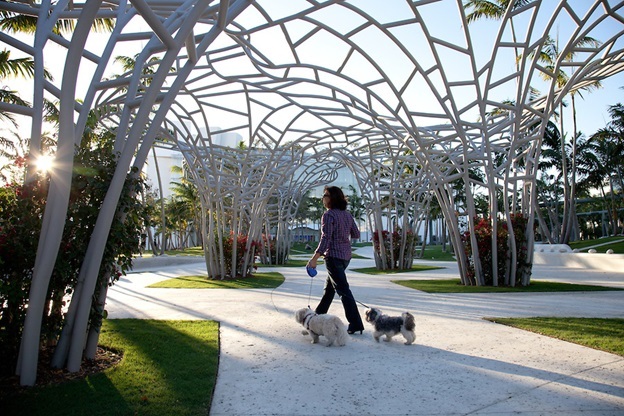 The City of Miami Beach would have a renowned unlicensed in Florida landscape architect with several marvelous local projects under its belt, West 8, with offices in Rotterdam and New York, design the landscape for the 8701 Collins Avenue project. Incidentally, 8701 Collins Avenue LLC donated $10,000 to the political action committee created to celebrate Mayor Philip Levine’s accomplishments during his campaign for reelection, for which he laid out over $800,000 from his own pocket for the $10,000 seat on the commission, where he enjoys an allegedly “purchased” majority hence is a de facto strong mayor in a city with a weak mayor charter. A clamor was raised over the money rapidly obtained from vendors and developers, and what appeared to be the sale of the city to developers, and the PAC was shut down. Now the Board of Architecture and Interior Design retained a private law firm, Smith Thompson Shaw Minacci & Colon P.A., led by Prosecuting Attorney David Minacci, to conduct its investigations and prosecute misconduct. That businesslike approach to handling cases appears to be quite effective in the long run. Staff is more than willing to follow up on press reports of probable unlicensed activity. Say that I am New York developer who owns Florida property. I have my New York architect design a property for it. We go down to Florida and lobby for any necessary approvals by planning board, land development board, preservation board etc. Then my architect draws final plans for building permits, environmental permits, etc. I hire Florida architects to seal and sign them. They do some gopher work during construction as my New York architect’s liaison. Has my New York architect, who is the de facto or actual architect, violated Florida law? Probably, but that depends on who hired whom and who paid whom and whatever related documentation reveals, such as architectural plans. Investigations of landscape architecture irregularities are handled by state employees with the DBPR, not by a private law firm. My anecdotal experience with the DBPR, beginning with my investigation of its handling of licensed general contractor misconduct and unlicensed contracting, has been far from satisfactory. For example, it did nothing about an unlicensed general contractor doing millions of dollars of business in South Florida, and then renting a license for a few thousand dollars and some furniture when reported by the press, yet at the same time stings were being conducted where, for example, an unlicensed plumber would be arrested at a house for trying to feed his family. A public record request for disciplinary actions against landscape architects licensed and unlicensed is presently being run around the bush, so that information was not available by deadline. Press accounts tantamount to advertisements of real estate developments touting the local landscape architecture projects of unlicensed landscape architect West 8 were brought to the attention of the DBPR. Erin B. Reisinger, Investigation Manager, Unlicensed Activity Unit> He acknowledged there was no record of a license on file, and said an investigation would be conducted once a complaint form was submitted. I identified myself as a report and asked Mr. Reisinger if the policy of the State of Florida is to investigate apparent violations and enforce laws only on receipt of a formal complaint rather than proceed on information that comes to the attention of its officials. He referred me to Chelsea Eagle, DBPR’s Deputy Director of Communications. “Your inquiry was forwarded to the Office of Communications,” she responded. “Per your inquiry, unlicensed activity cases can be opened in the event that sufficient information is received, whether in the form of a formal complaint, email, anonymous call or mobile app submission. For your background, some of the information typically required to open a complaint includes sufficient evidence of unlicensed activity, such as a bid/proposal for services requiring a license, a contract for services requiring a license or an advertisement for services requiring a license. “Ms. Chelsea, I notice that 481.303 Definitions states that landscape architecture means professional services, including, but not limited to, the consultation, investigation, research, planning, design, preparation of drawings, specifications, contract documents and reports, responsible construction supervision. Further, the law states that landscape design means consultation for and preparation of planting plans drawn for compensation, including specifications and installation details for plant materials, soil amendments, mulches, edging, gravel, and other similar materials. Such plans may include only recommendations for the conceptual placement of tangible objects for landscape design projects. Construction documents, details, and specifications for tangible objects and irrigation systems shall be designed or approved by licensed professionals as required by law. “The descriptions of the project and its illustrations provided in the indicate far more than the planting of a few potted plants, and give the general public reason to suspect that landscape architecture is an integral feature of the comprehensive plan: ‘800 parking spaces located across the street from the center will be relocated within the footprint of the building thus allowing the 5.8 acre parking lot to be converted into a public park surrounded by canopy trees, a flexible lawn area, a food pavilion, and a public plaza to honor the city’s veterans. 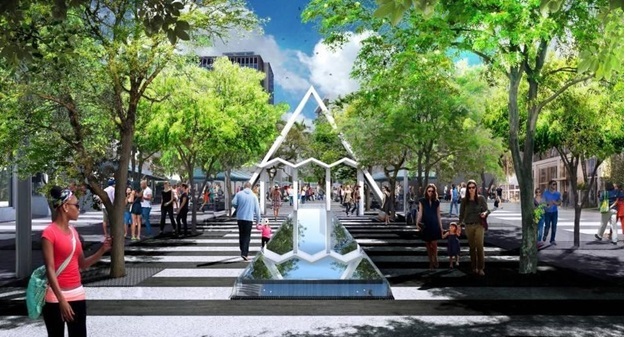 The park will become the new civic “heart” of Miami Beach as well as a shady destination long awaited by the residents of adjoining neighborhoods. 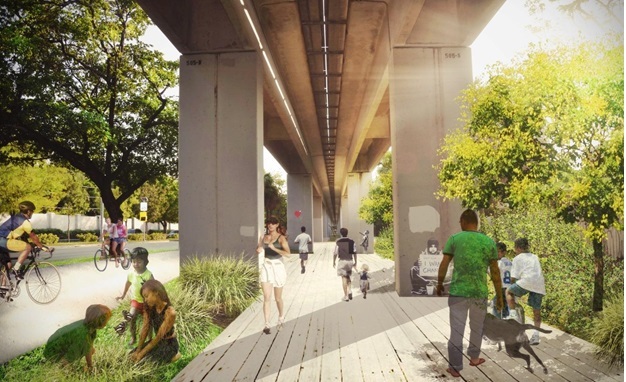 In addition, a new pedestrian friendly and ecologically sensitive green space incorporating butterfly gardens and mangrove enhancements will span along the Collins Canal incorporating a native plant palette and providing pedestrian connectivity for residents and visitors.’ And, as you can see, there is much more. “I believe that alone provides reasonable suspicion that that Chapter 481 may be violated, and that the matter should be looked into by professional state investigators to see if probable cause exists after examining any and all contracts, drawings, and plans and the like, as well as documentation if any that Fentress Architects and Arquitectonica adequately examined and approved the landscaping features of the project, which would be required, as I believe you are saying, in order for West 8 to practice without a Florida license. “It does appear that such firms may easily obtain an endorsement from the state and/or practice temporarily in Florida. Of course one question asked would be, does this famous landscaper have a license somewhere else in the world, and is the firm in good standing? “Please point out where Chapter 481 allows a landscape architect not registered in Florida to practice landscape architecture under the registration of architectural firms such as Fentress and Arquitectonica. “Attached again for your perusal is the James Corner contract. The City of Miami Beach has continued with this engagement after inquiries were made of the Miami Beach city attorney and city manager as to the apparent lack of a Florida license. I suppose that the city attorney has communicated with the state on the issue and the state has given the city leave to proceed without making a determination if a violation of law has and is occurring. Please confirm. “Finally, I want to make it clear that I have no personal complaint against West 8 or any other unlicensed in Florida practitioner. If I were to fill out a complaint form, it would be against regulators for ignoring violations for which no formal complaints had been filed, or for referring to information provided as something they are looking into or inquiring about or monitoring without diligent investigation and to no reported conclusion. As for architects and interior designers, thus far my investigation has concluded that the law firm that handles those issues diligently pursues them to their logical conclusions”. I had wasted my breath on Ms. Chelsea, whose job is to apparently rebuff investigative reporters with silence on touchy issues such as specific legislative authorization for unlicensed landscape architects to practice under licensed building architects in Florida, and, generally speaking, to put them off with bureauspeak. That is, if I am a building architect, I can do landscape architecture for the building I am designing, but I cannot go out and practice landscape architecture alone or for others. That leaves the question as to whether I am competent by education and experience to practice landscape architecture. I wondered why Florida building architects even bother to engage landscape architects if they can keep that work in house. Designing landscapes without a Florida license is not like driving its roads with an out-of-state license until one becomes a permanent resident. Natural conditions, for one thing, are different in every region, and a great deal of technical knowledge is required to address them appropriately. Naturally every jurisdiction regulates the practice of landscape architecture based on local conditions. If there were an International Landscape Architecture License based on different conditions in the world, localities might recognize it. As things stand now, Florida may issue temporary licenses to foreign professionals if they apply and meet the requirements, yet many of them do not feel like applying and fail to apply with impunity. 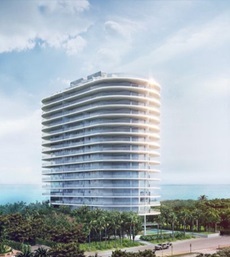 I submitted further information on West 8 projects in Miami Beach to Ms. Eagle, and suggested that we ask Florida’s governor and its attorney general if they believe an investigation should be conducted based on a reasonable suspicion that probable cause could be found that West 8 was practicing its trade in violation of state law. It appears that “monitor” (monere: to warn) means that we can rest assured that Big Brother is “watching over” basically self-regulated industries without opening investigations unless private individuals without investigative powers obtain proof of misconduct, or unless officials have some other motive to exercise their discretion. Indeed, “discretion” is the key word. Officials enjoy sovereign immunity for negligence even if roofs cave in or buildings are blown down and people are killed. A building department inspector once told me that perhaps half of construction is unpermitted and performed by unlicensed contractors. Inspectors simply cannot keep up with the volume, and must rely on complaints to ensure compliance. In California, officials have gone so far as to say their duty is to “promote compliance” rather than ensure it. Whereas the Minacci law firm pursued interior designer Yabu Pushelberg and settled for an embarrassing $5,000 fine plus costs, the DBPR got unlicensed landscape architect James Corner to agree to apply for a license. Interestingly, a person with Yabu Pushelberg was listed by the state as qualified to take the necessary examination, hence a license must have been applied for before it was caught doing a great deal of commercial interior designing, and was prosecuted because a private law firm was duly diligent. Notably, Ms. Chelsea did not specifically respond to the question as to whether James Corner would also be fined, and we may assume not. Notably, we pointed out to her that some time ago a competitor to West 8 had complained that West 8 won a bid despite the fact that someone had pointed out during the bidding process that West 8 was unlicensed by the State of Florida. The excuse offered in that instance was that West 8 has promised when it held itself out with plans as a landscape architect for bidding purposes that it would obtain the necessary license. Why did the state even bother with James Corner when his company won a bid and signed a contract to landscape famed Lincoln Road Mall? City of Miami Beach Manager Jimmy Morales certified that he had done the due diligence required, and all was well. Neither he nor City of Miami Beach Attorney Raul Aguila responded to concerns expressed after questions were submitted to them with copies to the mayor and city commissioners. 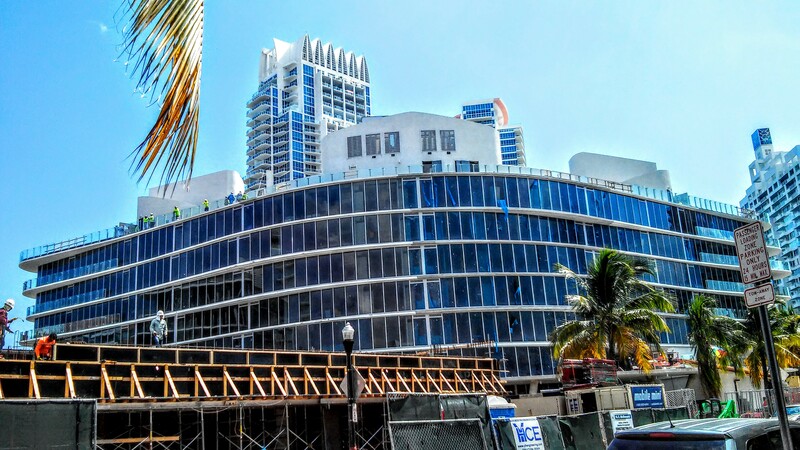 Clearly, not only could City of Miami Beach, City of Miami, and and Miami-Dade County officials care less that unlicensed building architects, landscape architects, and commercial interior designers are running amok in their jurisdictions, but DBPR officials could also care less unless someone lodges a complaint, or prosecutions are handled by a private law firm. That attitude extends to other trades as well, and is by no means unique to Florida, but is endemic wherever regulatory agencies have a complaint-driven “system” to obtain compliance from violators “partnered” with to “help” them comply. That system of random enforcement is widely recognized as the worst kind of enforcement that a jurisdiction could have. It encourages non-compliance of violators, disparate treatment of violators, and irrational behavior by compliance officers not to mention moral and criminal corruption. Compliance with legal codes only occurs when the cost of disobedience exceeds the benefits of obedience. On the other hand, aggressive, systematic enforcement of codes with mandatory minimum penalties has the best results. Complaint-driven or reactive enforcement when transformed to systematic, proactive enforcement, with incentives provided to citizens to participate in enforcement and report violators, has proven to be the best policy in terms of results. It does appear that Florida officials, despite their frequent attendance at seminars on best practices, are not that interested in the regulation of businesses and professionals, especially at the political level, which is virtually owned by major vested interests. The proverbial lack of resources is almost always the excuse. Proactive programs are tried upon occasion with good results, and then abandoned. Low priority is obviously given to information that world-class architects may be practicing in Florida without the necessary license. After all, old men are chained to walls like dogs in their own excrement in public institutions, prisoners and guards are beaten and stabbed at random in jails and prisons, kids are abused, maimed and killed after visits by state agents.